Ariel Horowitz & Miles Graber perform works for violin and piano by Mozart, Brahms, Dvorak, Wieniawski, and Chausson. Sunday, January 3rd and Saturday, January 2nd shows are SOLD OUT! Ariel Horowitz cannot remember life before loving music. Winner of top prizes at the Stulberg and Irving M. Klein International String Competitions and The Juilliard School’s Violin Concerto Competition, The Violin Channel praised Ariel’s artistic energy: “If they gave out prizes for attitude…we think we may have found the Olympic champion.” Ariel studies with Itzhak Perlman and Catherine Cho at The Juilliard School as a Dorothy DeLay Scholarship recipient. She is pursuing a Bachelor of Music degree. In July 2015, Ariel’s performed the Mendelssohn Violin Concerto with the Baltimore Symphony Orchestra at Strathmore and Meyerhoff Theaters to rousing standing ovations. 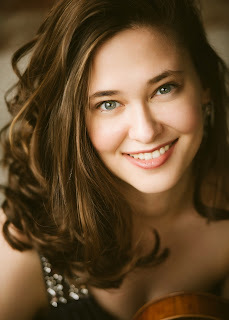 Ariel’s solo appearances also include performances with the Baltimore Symphony Orchestra, Neue Philharmonie Westphalia, Raanana Symphonette, Terre Haute Symphony Orchestra, Carmel Symphony Orchestra, New Albany Symphony Orchestra, Chamber Orchestra Kremlin, and Doctor’s Orchestral Society of New York as well as recitals in the United States, Italy, France, Israel, Brazil, and Argentina. Ariel attended The Perlman Music Program, Mozarteum Salzburg, Keshet Eilon International Master Course, Yellow Barn YAP, and Orford Music Centre among other festivals. In the 2012 Yehudi Menuhin International Competition for Young Violinists in Beijing, China she was featured in the Final Gala Concert and received the Morningside Young Artist Award. An avid chamber musician, Ariel is a member of The Jakob Quartet; coached by Joseph Lin (Juilliard String Quartet), Catherine Cho, and Daniel Phillips (Orion String Quartet). Ariel performs in The Juilliard Orchestra, most recently under the baton of David Zinman at Carnegie Hall.Community engagement at hospitals, nursing homes, and homeless shelters is central to Ariel’s artistic commitment. Ariel served as a Diversity Advocate (2014-15), Gluck Community Service Fellow (2014-16) and Resident Assistant (2015-16) at The Juilliard School. When not making music, Ariel reads Harry Potter, makes abstract paintings, practices yoga, and enjoys her family, friends, two dogs and chocolate. Miles Graber received his musical training at the Juilliard School. 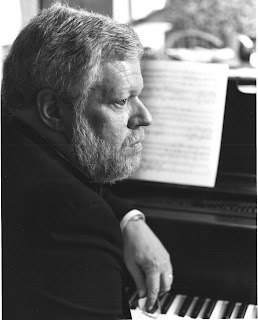 He has performed with numerous artists, including Sarah Chang, Cho-Liang Lin, Camilla Wicks, Axel Strauss, Mimi Stillman, Paula Robison, Zuill Bailey, Judith LeClair, and Frederica von Stade. Mr. Graber has been associated with such organizations as New Century Chamber Orchestra, Midsummer Mozart, Oakland-East Bay Symphony, Berkeley Symphony, Santa Rosa Symphony, Oakland Lyric Opera, Berkeley Opera, Opera San Jose, and California Symphony. His accompanying posts include the San Francisco Conservatory of Music, the San Domenico Conservatory, the Irving M. Klein International String Competition, the Summer Brass Institute, the Mondavi Young Artist Competition, and Northern California Flute Camp. He is a member of the Alcyone Ensemble, MusicAEterna, the GGR Trio, the Sor Ensemble, the Mira Trio, and the new music group Sounds New.